Synonyms: Rubus discolor Weihe & Nees., Rubus procerus Muller, Rubus grabowskii Weihe ex Gunther et al., Rubus praecox Bertol. Rubus armeniacus (Himalayan blackberry), formerly known as Rubus discolor, is a sprawling, essentially evergreen, glandless, robust shrub (family Rosaceae). 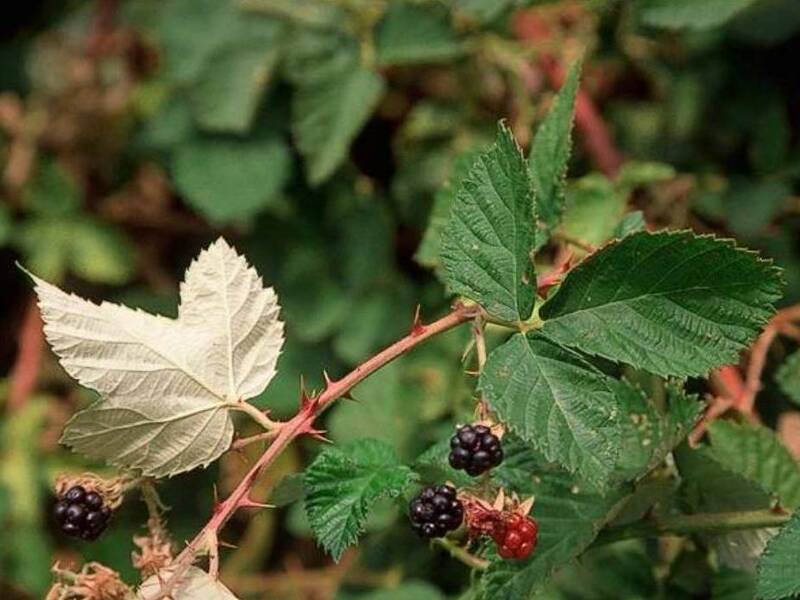 Rubus armeniacus occurs in California in the coast ranges, Central Valley, and Sierra Nevada. This weed is a strong competitor. It rapidly displaces native plant species and thickets to produce such a dense canopy that the lack of light severely limits the growth of understory plants.